We are a Jaguar vehicle parts specialist, based in the East Midlands. Lighting Interior / Exterior. Body / Panels. Body Closures and Sealing. Locking / Security System. Air Con, Heating / Ventilation. Jaguar Mk2 Door Cards & Trim. JAGUAR Mk2 240 340 - DOOR CARDS & TRIM. CNC manufactured door cards forTriumph Spitfire MK4 and 1500 (produced 1970-1980). Door cards are made of 3 mm thick MDF. CNC manufactured door cards for Jaguar MK2. Door cards are made of 3 mm thick MDF. 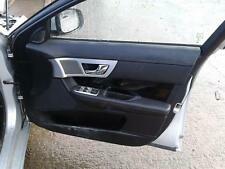 JAGUAR XF X250 PASSENGER SIDE REAR DOOR. XF 2007 -2015 Mk1 (X250) Front Right. Style Saloon. JAGUAR XF Door Panel. 2013 JAGUAR XF which we are dismantling. The Part imaged and described is th eactual part you will recieve. Colour Silver. Trim D SPORT. Fully working and tested. Excellent working condition. It will fit any model of Jaguar XJ X351 from 2014 - Present (2018). If your vehicle is from a different year and the Part numbers match up. it will work in your vehicle. Price is for pair as you see it on photo. This doorcard fits on coupé and also on convertible. JAGUAR XK X150 2007 DRIVER OFF SIDE FRONT DOOR CARD COVER PANEL. New but has a few marks, box tatty. Genuine Jaguar part. Jaguar XF TO (V)S20752. Rear LH door card , colour Warm Charcoal, to fit the following vehicle range. Wing Mirrors. Jaguar XK8 XKR 1996-2006 (VIN Range 000001 through to 042775, A00001 through to A99999). We are a Jaguar vehicle parts specialist, based in the East Midlands. Colour is Ivory with Sable top. This item has been removed from a: 2016 JAGUAR XE R-SPORT SALOON. A c omplete and genuine 2016 Jaguar XE R-Sport 2.0 AJ200D diesel door card in black leather for passenger side front left as pictured. JAGUAR XE X760 PASSENGER NEAR SIDE REAR DOOR CARD COVER. JAGUAR XF X250 PASSENGER SIDE REAR DOOR SHELL FROM FIRE DAMAGED CAR. REMOVE FROM JAGUAR XE 2.0 DIESEL PRESTIGE,SALOON 2016 YEAR,180 BHP,6 SPEED MANUAL GEARBOX,ENGINE CODE AJ200D,PAINT CODE LRC CAX ODYSSEY RED. MY AIM IS TO MAKE SURE YOU ARE ALWAYS 100% HAPPY! Wing Mirrors. With speaker / tweeter. We are a Jaguar vehicle parts specialist, based in the East Midlands. 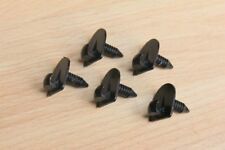 JAGUAR PART NUMBER C2S20237. Body / Panels. Body Closures and Sealing. This is the door handle assembly. Wing Mirrors. Jaguar XK8 XKR 1996-2006 (VIN Range 000001 through to 042775, A00001 through to A99999). We are a Jaguar vehicle parts specialist, based in the East Midlands. LEFT SIDE DOOR CARD CASING - ORIGINAL JAGUAR PART. (Taken from: 2006 JAGUAR X-TYPE 2.0D, 5 SPEED, RED, 5 DOOR, WHEEL NUT, BREAKING). YOU WILL FIND MORE INFORMATION ABOVE. Used Condition! Have, minor mark, dents, scratches. XK8 / XKR 1996-2006. RIGHT DOOR CARD / CASING. 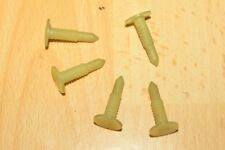 All clip fittings are OK. Colour and condition as per photos. We are a Jaguar vehicle parts specialist, based in the East Midlands. 4.2 We reserve the right to alter all product pricing without notice. 4 DOOR SALOON. JAGUAR X-TYPE V6 2001. COLOUR:- SILVER. COMPLETE SET OF DOOR CARDS IN BLACK. 5 SPEED MANUAL - PETROL. (All calls & enquiries will be answered during working hours only). Moreton Valence. This was removed from a 1st Gen 2008 2.7 diesel Jaguar XF Premium Luxury 4 door. Model - XF (X250). Year - 2008. Fuel type - Diesel. Power -207hp 152kw. QUARTER CASING CAPPING. XK8 COUPE/CONVERTIBLE FROM (V)A00083 TO (V)A30644. XK8 COUPE/CONVERTIBLE FROM (V)A30645. COLOUR : IVORY. RIGHT HAND REAR. Jaguar XE (2014 -). Opening hours. Genuine used part, in full working order. Part has been cleaned, inspected and tested. Panels and Exterior. Part Numbers: GX73-276A00-AAW. Window Regulators &. Interior and Airbags. We were established in 1931 by Wally Harwood, father of our current Chairman, Guy Harwood. We have several sites around the South & South East of England, including franchises such as Land Rover, Jaguar, Audi, Bentley and Aston Martin as well as a MAN Truck Centre. V6 Saloon 3.0 Diesel Auto. This part was removed from a Right Hand Drive Vehicle. Compatibility is a guide only. Your item will need to be signed for. Door Panel. TRIM LEVEL. Part Number. New JAGUAR Ftype door armrest jet red zone door stitch RH from door. All our products are genuine. This item has been removed from a: 2016 JAGUAR XE R-SPORT SALOON. A c omplete and genuine 2016 Jaguar XE R-Sport 2.0 AJ200D diesel door card in black leather for passenger side rear left as pictured. Wing Mirrors. Jaguar XK8 XKR 1996-2006 (VIN Range 000001 through to 042775, A00001 through to A99999). We are a Jaguar vehicle parts specialist, based in the East Midlands. ORIGINAL JAGUAR PART. Body Closures and Sealing. Item Specifics:2011 - 2015 - MK1 - 5 DOOR - SALOON - LEFT REAR - DOOR PANEL - LEG. Part:Door Panel. This Door Panel was removed from a2012 car and has been fully inspected. XK8 XKR 1996-2006. We are a Jaguar vehicle parts specialist, based in the East Midlands. Lighting Interior / Exterior. Body / Panels. Body Closures and Sealing. Air Con, Heating / Ventilation. Our technical team will be on hand to help assist with any discrepancies, and we find that in many instances an issue may only require a simple check to put right. Wing Mirrors. Jaguar XJ8 XJR 1997-2002 (VIN Range 812317 through to 878717, F00001 through to F59525). We are a Jaguar vehicle parts specialist, based in the East Midlands. Colour is "Warm Charcoal" / Trim code "LEG". Jaguar X Type models. This is for the passenger side front door. 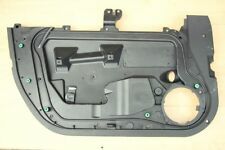 This is the rubber finisher which fits in the armrest part of the door card. Wing Mirrors. XK8 XKR 1996-2006 (VIN Range 000001 through to 042775, A00001 through to A99999). We are a Jaguar vehicle parts specialist, based in the East Midlands. R Front Bare Door. 3.0 V6 Petrol Auto Green X202. TRIM LEVEL. S TYPE - RHD. Other Details. 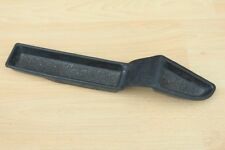 Jaguar E-Type Right Hand Upper Door Capping.